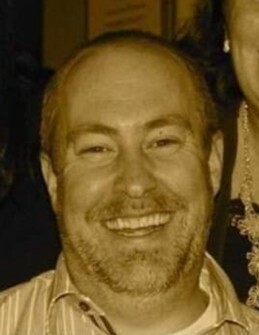 Jonathan Michael Trump, 43. of Murrells Inlet, South Carolina died suddenly at home. Jon was born August 10, 1975 in Schaumburg, Illinois to Kenneth Trump and the late Diane Trump. He enjoyed all sports but especially enjoyed coaching football and teaching young men. Jon will be missed by all who knew him. Jon was preceded in death by his mother, Diane Marie Behmlander Trump. He is survived by his father Ken Trump and stepmother Judy Dillon Trump; sisters, Kristin Trump of Leominster, Ma, and Jennifer Trump of Apex, NC; nephews and nieces, Cassady Trump, Jonah Trump and Kayden Palmer; and many extended family members in Michigan. A service of remembrance will be held at the Trump family home for the immediate family only. Memorials can be sent to 313M Glen Echo Lane, Cary, NC.